Book ONLINE 24/7, with real time inventory! It's quick & easy! 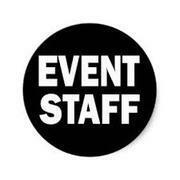 Having a party or event in Irvine, CA? Need party rentals? 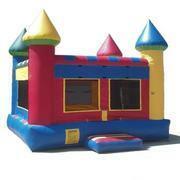 Jump N Bounce is a family-owned bounce house & party rental company, serving Orange, CA & nearby areas. 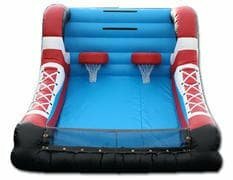 We have Bounce House Rentals, Jumper Combos, Obstacle Courses, Dry & Water Slides, Dunk Tanks, Food Machines, Tables, Chairs, Canopies & Staff! 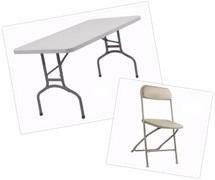 We have all your party rental needs! We have a business license with the City of Irvine. That means we have met compliance requirements and can legally conduct business in the City of Irvine. The City of Irvine has reviewed and approved our insurance. That means our insurance meets all the requirements to conduct business in the City of Irvine. The City of Irvine requires a permit to have a bounce house at parks. 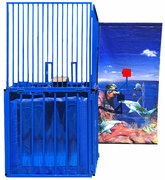 Jump N Bounce is an approved vendor for the City of Irvine. That means we have met the strict requirements, including a business license and proper liability insurance, to provide inflatables at all parks in Irvine. To obtain a permit, please call the City of Irvine Facilities Reservations department at 949.724.6620. CLICK HERE for the City of Irvine Bounce House info page. Does your company, school, or HOA need our insurance documents? We can provide an "Additional Insured" document, naming people and organizations on our insurance. Let us know and we will take care of it for you. 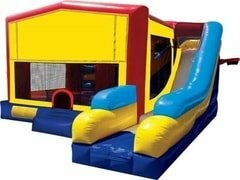 Bounce House Rentals in Irvine CA - Multi Color Castle Jumper, Fun House Jumper, Sports Arena Jumper, Princess Castle Bounce House, Happy Birthday Bounce House, Super Heroes Bounce House. 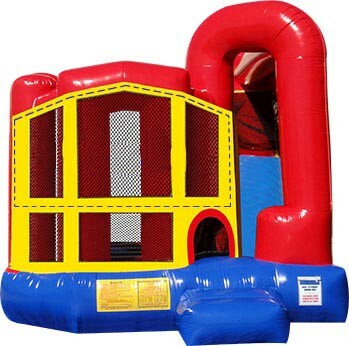 Jumper Combo Rentals in Irvine CA - 5 in 1 Combo, Dream Castle Combo, Deluxe Combo Jumper, Adventure Combo Jumper, Dual Slide Jumper, Tropical Combo Jumper. 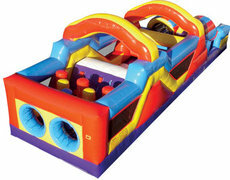 Obstacle Course Rentals in Irvine CA - Mega Obstacle Course, Giant Obstacle Course, Big Obstacle Course, Obstacle Course. Water Slide Rentals in Irvine CA - Mega Splash Water Slide, Dolphin Curve Water Slide, Two Lane Slip n Slide, Adventure Water Slide. 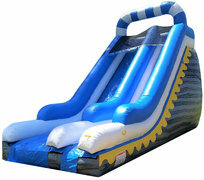 Dry Slide Rentals in Irvine CA - Giant 18' Dry Slide. 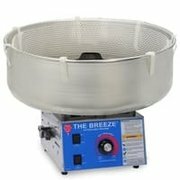 Concession Machine Rentals in Irvine CA - Cotton Candy Machine, Popcorn Machine, Snow Cone Machine, Hot Dog Roller.